Police said a man was shot to death outside a Chillum, Maryland, home by the homeowner. News4's Darcy Spencer reports. Police said Tuesday that they were investigating what happened. "We're still working through all the details to determine what led up to the shooting," Cpl. Tyler Hunt said. A resident of a home on the 6200 block of Sligo Parkway called 911 about 2:15 a.m. Tuesday to report a shooting. Officers arrived and found a man with a gunshot wound to the upper body. He was pronounced dead. According to the preliminary investigation, detectives believe the homeowner -- who police have not identified -- shot Parker from inside his home after Parker "had broken into the homeowner's vehicle," police said in an update Wednesday morning. News4 footage shows a bullet hole in a window. Police now have video from the home's surveillance system, "which shows Parker's actions prior to the shooting." A second suspect is believed to have run from the scene before police arrived. Parker and the homeowner did not know each other, police believe. Sources told News4 the homeowner has lived there for 17 years, and that about 10 people were inside the house at the time of the shooting, including children. A neighbor who asked News4 not to identify him said his car had been broken into multiple times. 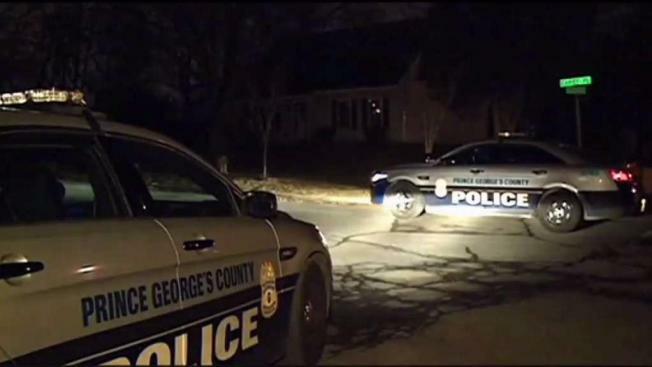 The Prince George's County State's Attorney's Office will determine whether any charges should be filed against the homeowner. Anyone with information on the case is asked to call 301-772-4925. Anyone who wants to remain anonymous can call 866-411-TIPS, go to www.pgcrimesolvers.com or use the P3 Tips app.